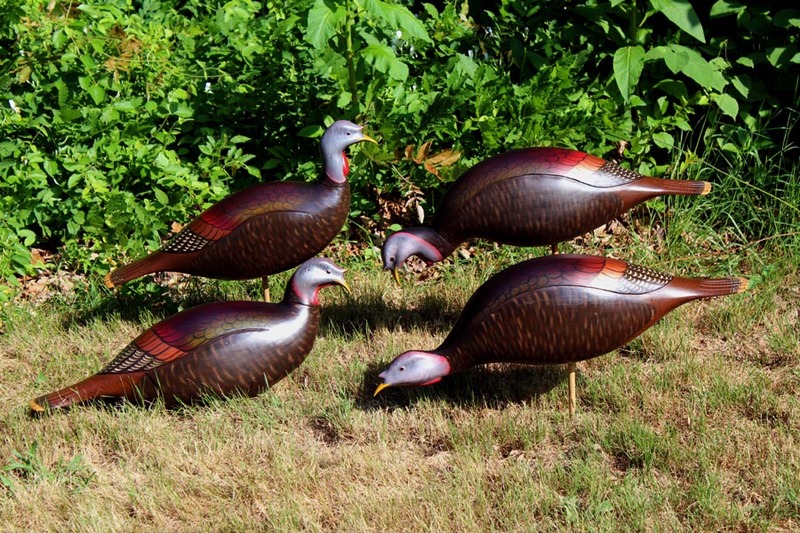 A nice mixed flock of Turkey decoys. 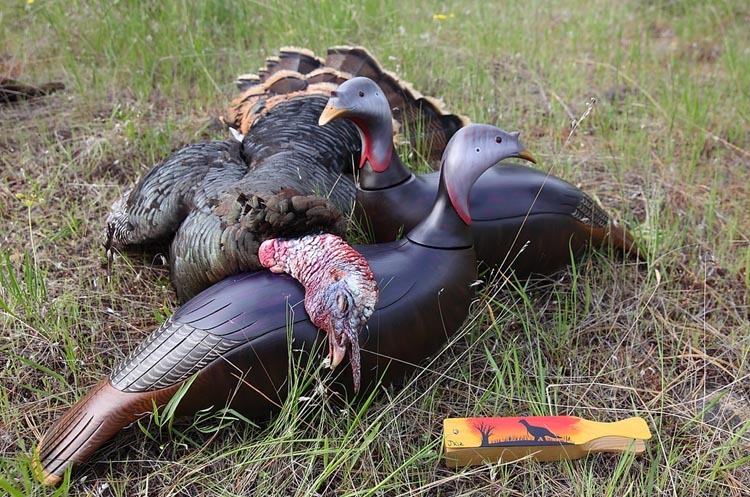 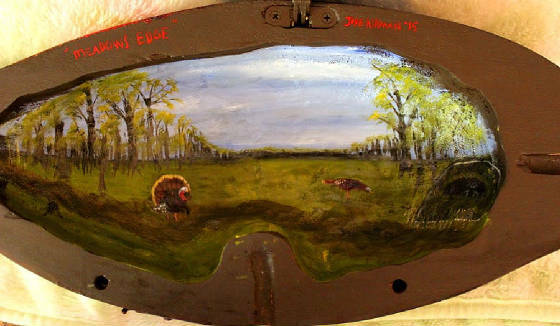 I am an avid Turkey hunter and all my carvings are time tested and field proven. 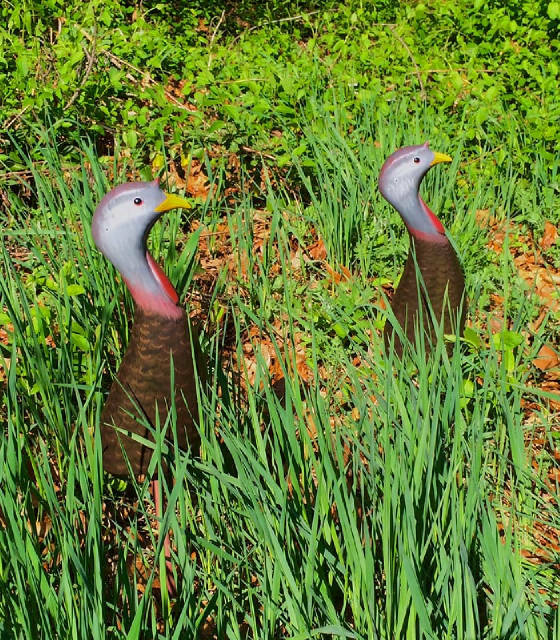 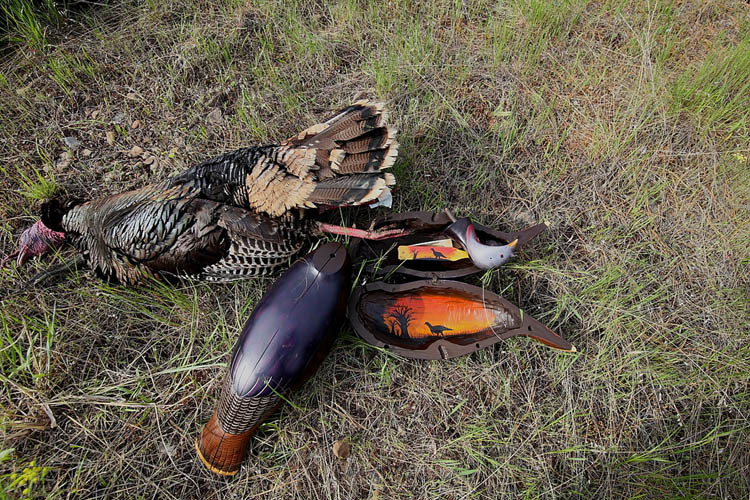 I get great satisfaction from hunting these wary birds with decoys and calls from my own hand. 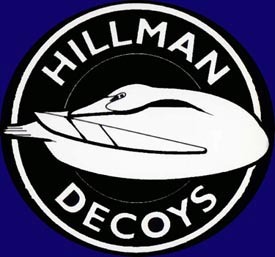 My calls have been moved to their own page on this website. 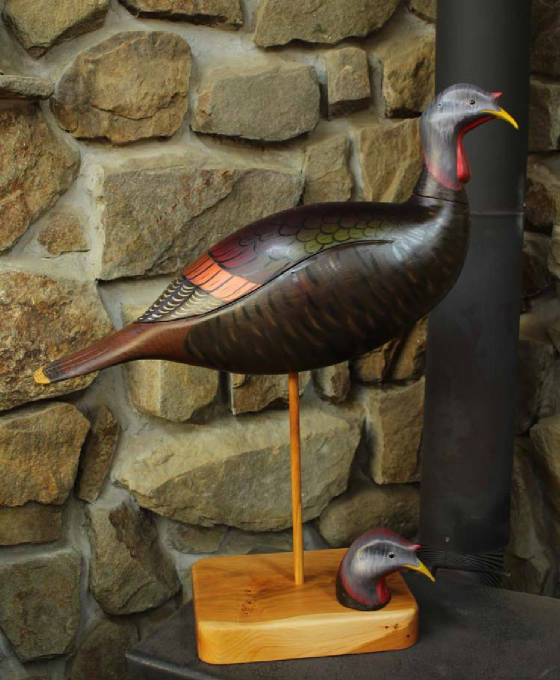 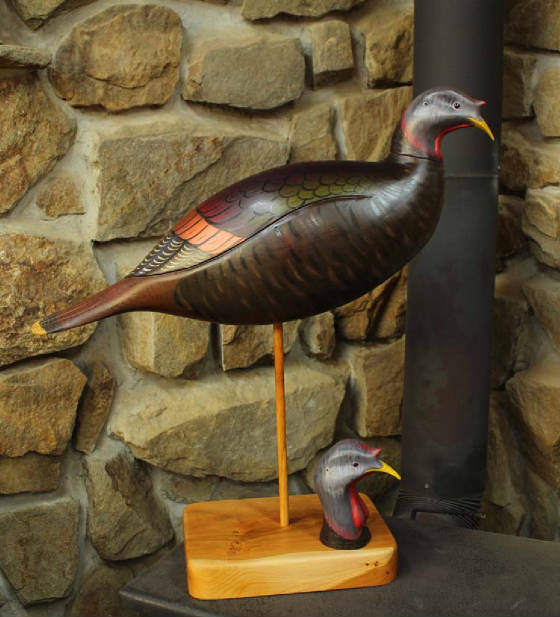 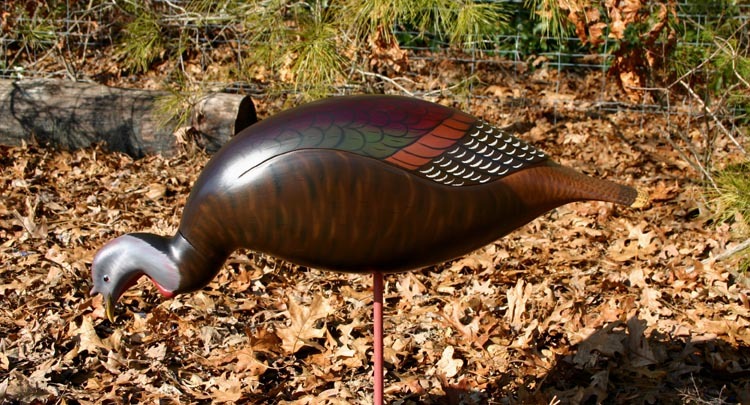 Premier Turkey Decoy, High Head. 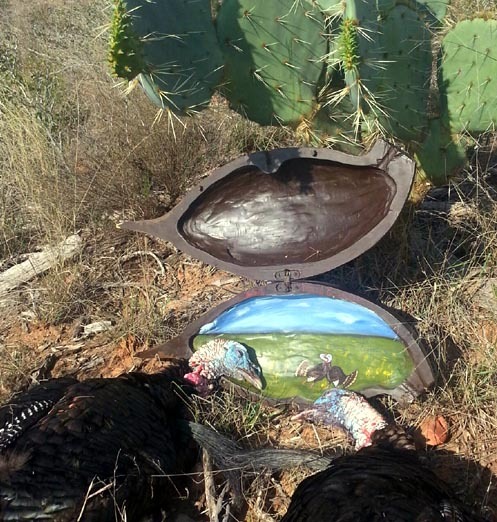 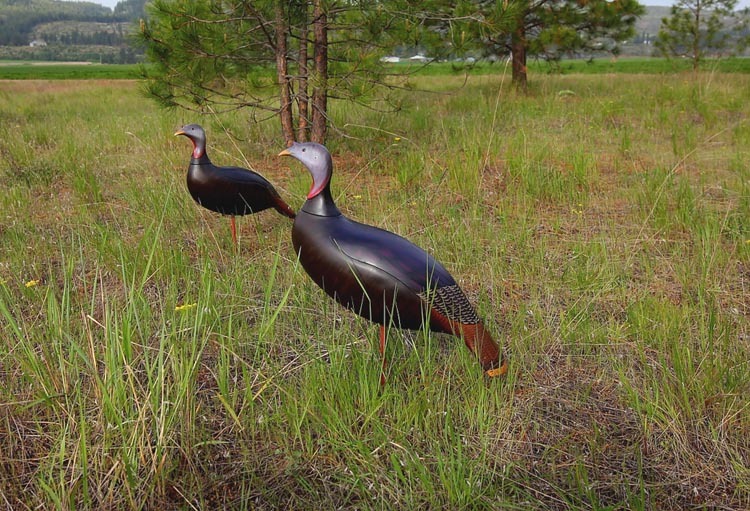 Hen Turkey Pickleweed ( head and neck only) decoy. 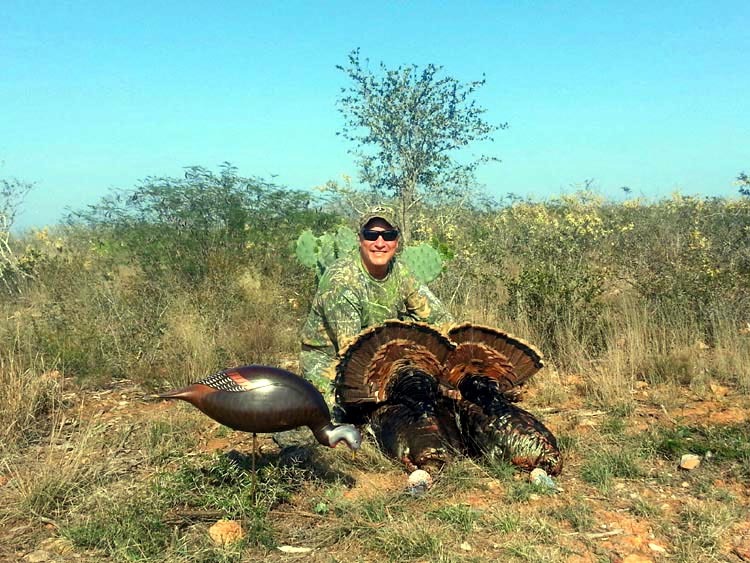 Light and deadly for field hunting. 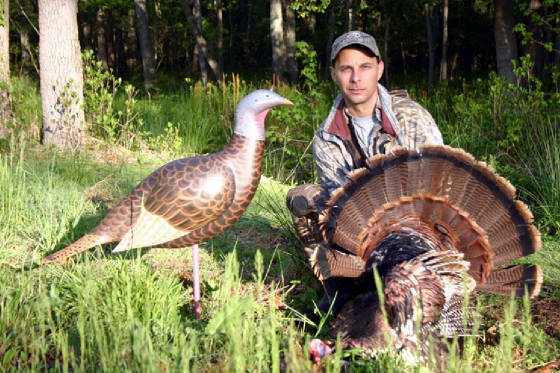 Me with a 2014 Double Bearded Gobbler and the feeding hen I killed it over. 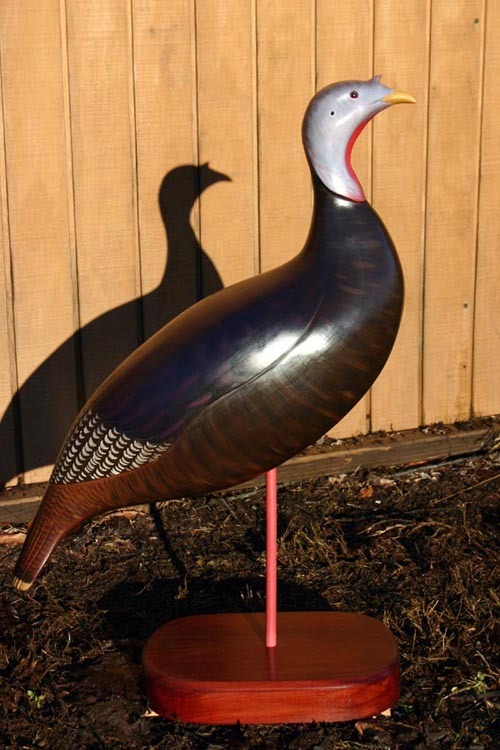 2011 decoy with a 21 pound Gobbler. 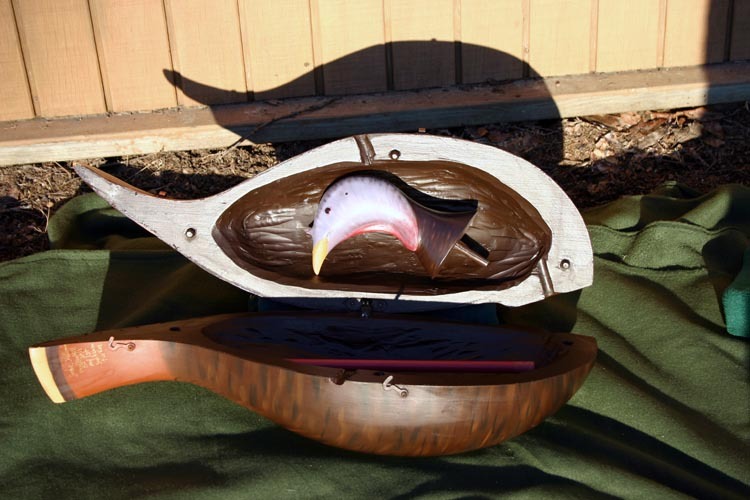 Hollow Cedar Gunning Turkey for spring 2011 season. 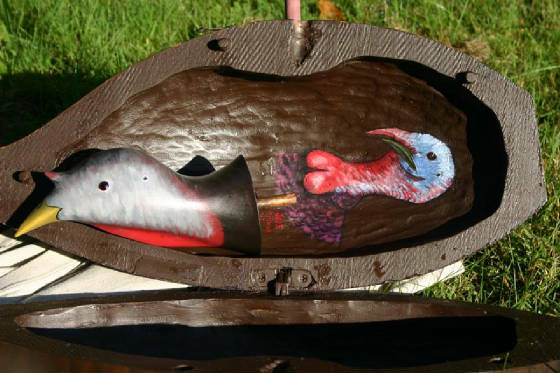 Suitcase Decoy hinges open and head and stick store inside. 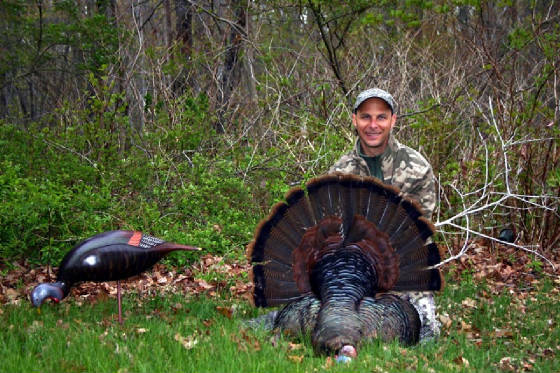 A Fleece bag protects head. 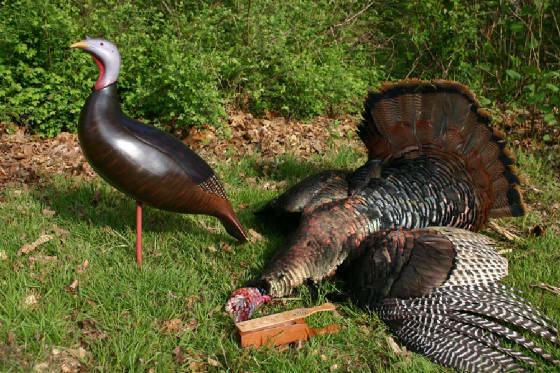 Double bearded, 22 pound Gobbler taken over my 2010 decoy.